January 2000 issue of the British Magazine, Classic Cars. The cover feature of this issue is the Lamborghini 350GT. 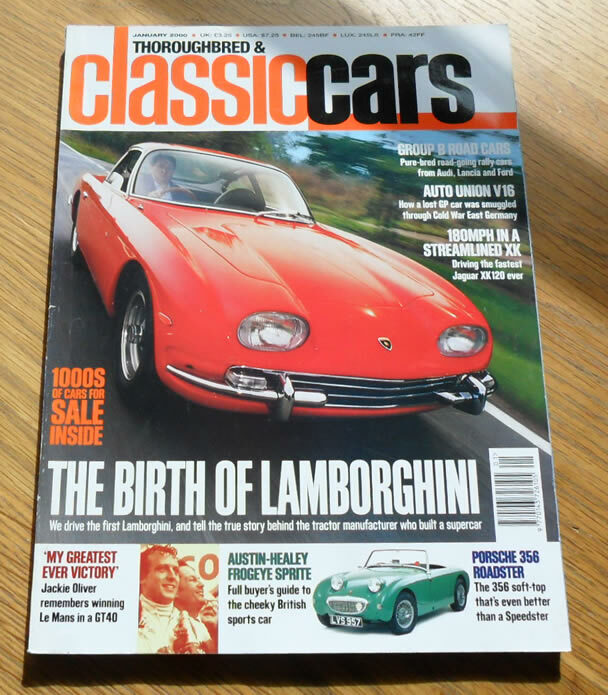 Other articles include items on the De Tomaso Pantera, Jabekke Jaguar XK120, Porsche 356, Group B road cars and many more.